This YouTube video is taken from a live broadcast on Egyptian satellite television network Capital Broadcast Center. The title of the video is "Arab Muslim Children Playing the ISIS Game." The station is using the Arabic acronym for ISIS, da'ish - al-dawlah al-islamiyah fi al-'iraq wal-sham. In the video, a young boy, speaking standard Arabic with an Egyptian accent, passes sentence on the two "accused." Once he declares "our decision" the other children pretend to behead their "accused" playmates. This type of sickness is not limited to Egypt. "We are playing, sir, the 'martyr game'." The brutality of ISIS has permeated even the games that Arab children play. They have been exposed to some of the most depraved behavior in recent history. They have become desensitized and have accepted it as the new normal. We will be dealing with the repercussions of this in the Arab world for generations. The proposed nuclear agreement with Iran, most of which the Obama Administration is keeping secret, seems to be giving Iran virtually everything it has wanted for the last decade. To many observers, it appears that the United States (as well as its negotiating partners) have abandoned any hope of containing Iran's quest to acquire a nuclear weapons capability. Nuclear weapons are an integral part of Iran's plan to have a long-range ballistic missile force carrying nuclear warheads. The mullahs mean to make the Islamic Republic the pre-eminent military, political and economic power in the region. With this agreement, they are much closer to that goal. Iran has won - and make no mistake, they have won by a huge margin. They did this simply by refusing to comply with a series of United Nations Security Council resolutions and agreeing only to a never-ending series of talks. In the end, the nations that make up the P5+1* acquiesced not only by granting Iran the right to enrich uranium, but also by granting immediate relief from the crippling sanctions which took years to impact the Iranian economy (although it was the sharp decline in the price of oil that has really crippled it). It gets worse. After a specified time period (the length of which has not yet been determined), all restrictions on Iran's nuclear program will be lifted. Hasn't the Obama Administration learned its lesson about specific dates in the future? I am referring to this Administration's declarations advising al-Qa'idah and the Taliban exactly when American forces would be withdrawn from Iraq and Afghanistan. I am not sure who is at fault here - President Obama or the clueless John Kerry. I suspect it is a combination of both. The President wants to reach an agreement with Iran at almost any cost - he desperately needs a foreign policy success. Secretary of State Kerry does not seem to realize just how much damage he is doing to any effort to restrain the Iranians in their plans to acquire nuclear weapons. Before the emails start about calling Kerry "clueless," remember it was Kerry who told us that we are much safer today, a direct contradiction of testimony only one day later by the Director of National Intelligence Jim Clapper. I have known General Clapper for over 40 years, several of which I worked for him - I'll take his word over Secretary Kerry's. Okay, we'll settle for Kerry being "out of touch." The Secretary has also failed to mention documents seized in the bin Ladin raid that indicate a cooperative relationship between Iran and al-Qa'idah. Why are we so anxious to reach such a lopsided agreement with a government that is clearly acting in a manner inimical to American interests in the region and worldwide? This is a government that sponsors terrorism; funds, trains and arms Hizballah and Hamas; provides special operations forces (the Islamic Revolutionary Guard Corps Qods Force) to fight alongside the Bashar al-Asad regime in Syria; funds, trains and controls Shi'a militias in Iraq; and incites anti-government uprisings in Yemen, Bahrain and Saudi Arabia. Now we find documents tying them to al-Qa'idah. Perhaps, as I said three months ago, we should just call it quits and walk away from the talks. Tell the Iranians they are not going to have a nuclear weapon, and that the sanctions are going to get tougher until Iran abides by its international agreements. 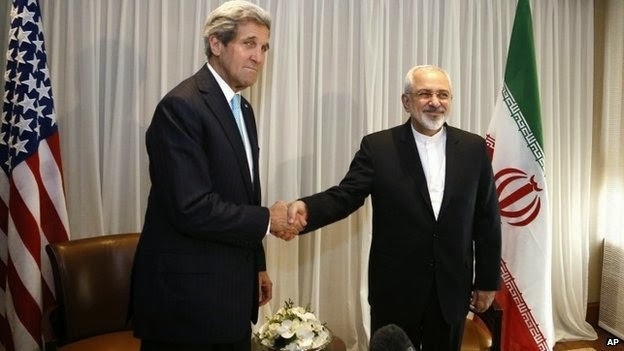 See that article, Iranian nuclear talks - maybe time to walk away? This proposed agreement is not good for the United States. 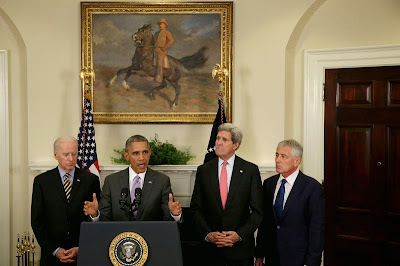 We don't need to cave in to the Iranians so that Barack Obama can claim, finally, a foreign policy success. It is anything but that. * The P5+1 are the five permanent members of the United Nations Security Council - Russia, China, United Kingdom, France and the United States - plus Germany. 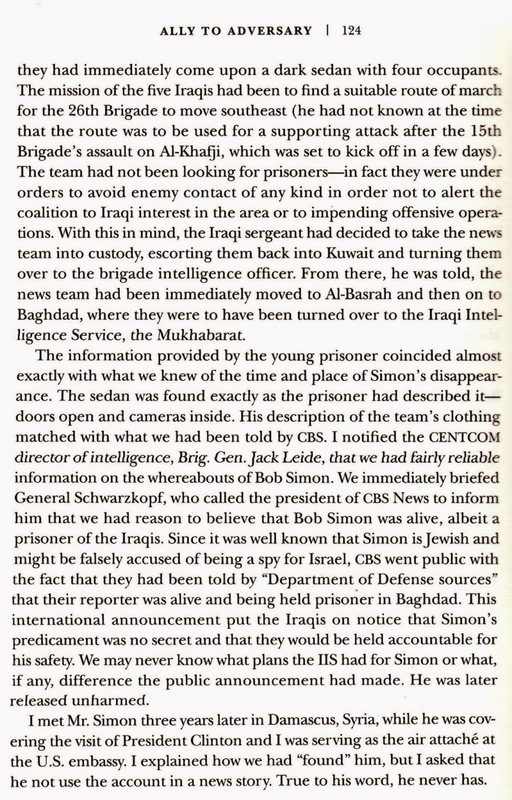 Here is my story with Bob Simon (Chapter 11 of my book). I like to think that I had a part in keeping him alive. A loss for us all. Today, President Barack Obama sent a draft Authorization for Use of Military Force (AUMF) resolution to the Congress, accompanied by a letter explaining why he wants such a resolution. You can read the complete text of the letter and the text of the draft on the White House website. The letter and draft AUMF provide some insights into the President's view of the current situation facing the United States and his plans to address the threat posed by the group calling itself the Islamic State, also known as the Islamic State in Iraq and Syria (ISIS). The government refers to them as the Islamic State in Iraq and the Levant, or ISIL - they are the same entity. I am concerned with the language in both the letter and the draft AUMF. I believe the President needs an AUMF to legally and properly prosecute military operations against ISIS, but I am concerned that the President is more concerned with placing arbitrary limits on his ability to adequately defeat the threat posed by the Islamist group. Let's take a look some text in the letter. I have directed a comprehensive and sustained strategy to degrade and defeat ISIL. As part of this strategy, U.S. military forces are conducting a systematic campaign of airstrikes against ISIL in Iraq and Syria. Although existing statutes provide me with the authority I need to take these actions, I have repeatedly expressed my commitment to working with the Congress to pass a bipartisan authorization for the use of military force (AUMF) against ISIL. Comment: As a military analyst, I remain convinced and concerned that there is no "comprehensive and sustained strategy to degrade and defeat ISIL." The U.S.-led coalition air campaign is, to be kind, anemic at best and "just going through the motions" at worst. It is obvious to any cogent observer that the current American/coalition strategy is not working. Despite some moderate slowdown of ISIS's operations in Iraq and Syria (including the outright defeat of ISIS at Kobani), the group continues to mount offensive operations and attract record numbers of recruits, estimated to be over 20,000 in the last few months, the same months when the group carried out its most brutal and heinous acts. Even with complete U.S.-led coalition control of the air, ISIS has rebuffed most of the Iraqi army and security force attacks, and has even moved on the oil-rich city of Kirkuk. While I disagree with the President's assertion that he has the authority to continue military operations, I applaud his inclusion of Congress in this effort. Congress declares war - an AUMF is about as close as we get this days - and the Executive branch prosecutes it. Let's get Congress on record as to who supports addressing this real threat and who chooses to shirk their constitutional responsibilities. Comment: Always with the swipe at the Bush Administration - grow up. This whole paragraph is a litany of things the inner circle at the Obama White House wants the Congress to proscribe so they have cover when they do not take appropriate, required military actions that do not adhere to their political narrative. This language tries again to commit American forces to combat operations and not call them combat operations. This is ludicrous. If the Congress authorizes the use of military force, it authorizes the President to use the force the Commander in Chief (hopefully listening to his senior military advisers, not his political insiders) deems necessary. It is foolish to limit what operations the President can order - the military needs the flexibility to act and react to changing situations, exploit opportunities and be effective without adhering to politically defined arbitrary restrictions. If the President honestly believes that "local forces" are going to be effective in Iraq and Syria, I would beg to differ. While there is a chance that Iraqi forces (and I include the Iraqi Kurds in that mix) supported by U.S.-led coalition airpower, increased training and special forces operations, might be able to turn back ISIS in Iraq, Syria is a different matter. The "moderate" Free Syrian Army is not capable of defeating either ISIS or the Syrian armed forces. Regional powers (read: Saudi Arabia and Turkey) are not going to introduce ground forces without American boots on the ground - it is delusional to think otherwise. If ISIS is in fact the "grave threat" the President claims (his words), at some point, we are going to have to address it ourselves. Mr President, you cannot outsource the security of the United States. Now some comments on the draft AUMF resolution itself. Whereas President Obama has made clear that in this campaign it is more effective to use our unique capabilities in support of partners on the ground instead of large-scale deployments of U.S. ground forces ... The authority granted in subsection (a) does not authorize the use of the United States Armed Forces in enduring offensive ground combat operations. Comment: Well, the President has made it clear that he wants it to be more effective to use unique American capabilities, but there is no evidence that I have seen that makes his wishes the truth. Again, if there is a significant threat to American interests, then the use of American troops to address that threat should always be an option. Likewise, the ambiguous term "enduring offensive ground combat operations" is meaningless. If the Congress is going to in effect declare war, why ask for limitations on the Executive branch's authority or capability to wage said war? It almost appears that the President is looking for an excuse to not exercise his authority to the fullest and have a convenient scapegoat if and when the situation worsens. Hasn't this Administration learned that telegraphing date certain deadlines is a bad idea? 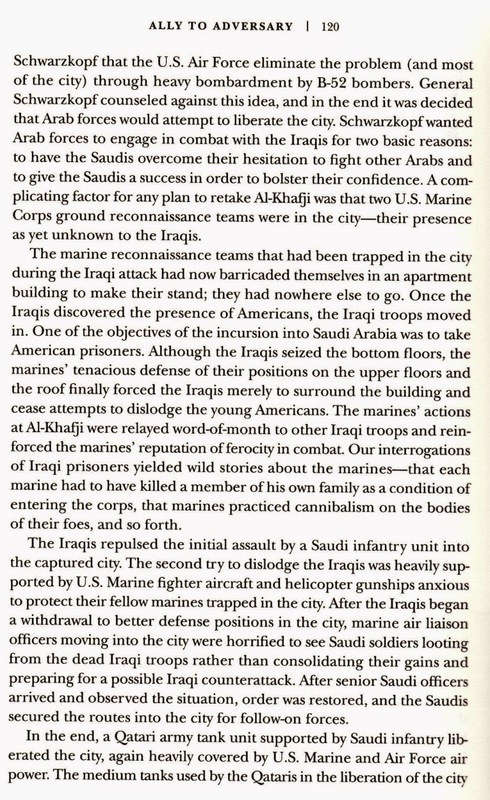 When it told the Iraqis that we were leaving in 2011, al-Qa'idah in Iraq merely waited until that date, reconstituted itself and later became what is now known as ISIS. 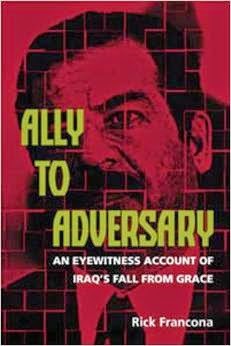 Am I saying that the announcement that the United States would fully withdraw all of its forces from Iraq by the end of 2011 - which it did - led to the creation of the ISIS, the creation of the crisis in which we find ourselves today? Yes, I am saying just that. The AUMF as written is not what we need - hopefully the Congress will turn it into that document. If we are going to take the fight to ISIS, then give the President the means to take the fight to ISIS - no holds barred, and hold him accountable for that fight. One of the key Arab allies in the U.S.-led coalition formed to fight the Islamic State in Iraq and Syria (ISIS) is the United Arab Emirates (UAE). 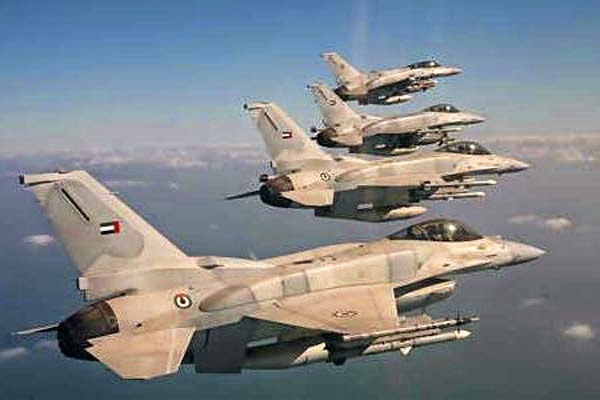 UAE Air Force (UAEAF) F-16 "Desert Falcons" were among the first aircraft involved in the coalition airstrikes on Syria beginning in September 2014. The UAEAF flies one of the later versions of the venerable fourth-generation Lockheed Martin (originally General Dynamics) F-16. After the loss of the aircraft and the capture of the pilot, the Arab members of the coalition, including the UAE, ceased flight operations over Syria, leaving only the United States to conduct airstrikes in the country. 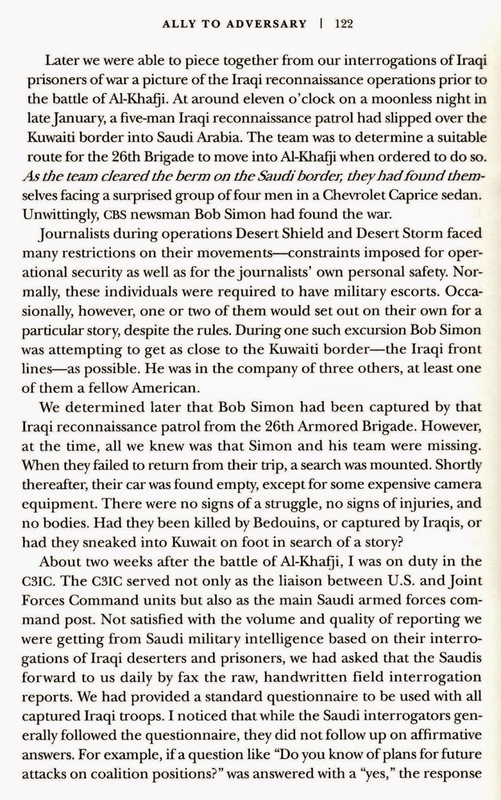 UAE military officials complained that U.S. Air Force combat search and rescue (CSAR) forces were based in Kuwait, too far from the potential shootdown areas to be of use. After the murder of the Jordanian pilot, Lieutenant Mu'az al-Kasasbah, the Jordanians reversed their moratorium on participation in coalition airstrikes and resumed operations against ISIS at an increased level. The U.S. Air Force repositioned its CSAR assets to a base in northern Iraq, and the UAE announced the deployment of a squadron of F-16 fighters to a Jordanian air base and the resumption of airstrikes in Syria. It was a welcome decision - both the RJAF and UAEAF are professional organizations. Some background on the UAEAF. 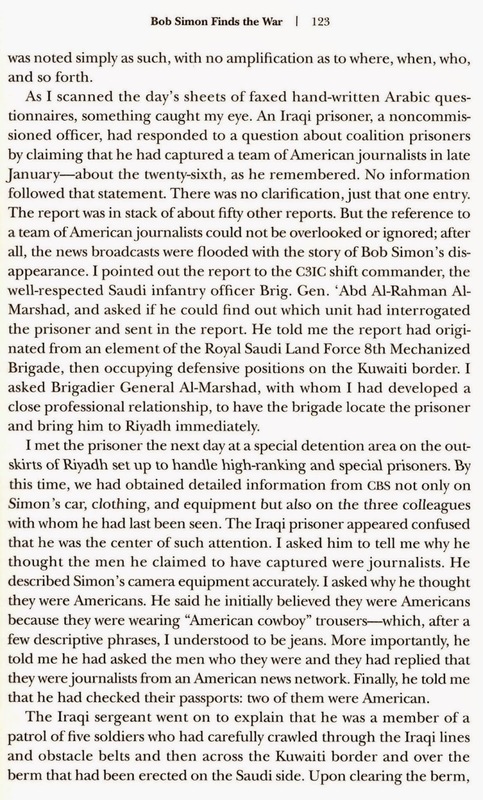 I served as the acting Defense Attaché at the U.S. Embassy in Abu Dhabi, UAE in the early 1990s - a short detour on my way to my real position as the Air Attaché at the American Embassy in Damascus, Syria. While in Abu Dhabi, I had several meetings with the UAE Minister of Defense, Shaykh Muhammad bin Rashid Al Maktum ("call me Shaykh Mo"). He is now the Vice President and Prime Minister of the UAE, the constitutional monarch of Dubai, and still the Minister of Defense. At the time when I was meeting with "Shaykh Mo," many defense contractors from a variety of nations - particularly the United States, United Kingdom and France - were trying to sell weapons to the Emirates. The weapons ran the gamut from fighter aircraft, main battle tanks, surface to air missiles, frigates, coastal defense systems, reconnaissance platforms - you name it, there was someone there trying to sell it to the Emirates armed forces. 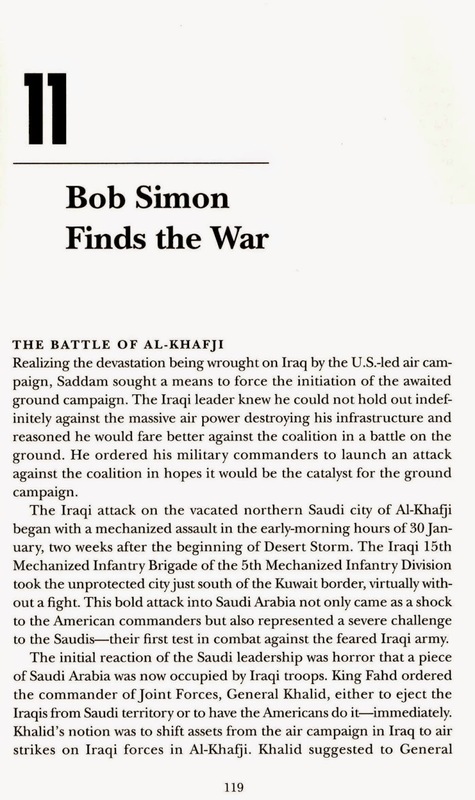 The recent successes of many of the systems in Operation Desert Storm was a key selling point. In one of our meetings, the shaykh/minister mentioned that he was besieged with sales representatives and security assistance officers (that is military-speak for an officer who is theoretically advising on security needs, but is in reality an arms salesman for his country's defense contractors). I suggested he determine potential threats to the Emirates, formulate a defense strategy, then buy the weapons and systems that supported that strategy. At the time, he had hired a consultant to help him develop that strategy - I told him he didn't need a consultant. The shaykh was intrigued by what I thought was a pretty simple analysis. He asked if I could come back and discuss this further - of course, I agreed. We met over dinner and began a rather informal assessment of the country's needs. I pointed at the map on the wall in his official dining room at the Ministry of Defense and asked who he needed to defend the UAE against. Of course, the obvious and really only threat was, and remains, Iran. While the UAE may have minor issues with its Arab neighbors - Saudi Arabia, Qatar and Oman - the chances of actually going to war were pretty slim. However, there were major issues with the non-Arab Iranians across the Gulf - including sovereignty claims over a series of islands in the oil-rich areas of the southern Gulf. I pointed out that given the geography of the UAE and the relations with its Arab neighbors, a ground war was unlikely or impractical. If there was to be a conflict with Iran, it would likely be an air and naval engagement. My recommendation was that the shaykh pursue the creation of a world-class air force and a credible navy, with less emphasis on his land forces. When the contractors hawking tanks and armored personnel carriers heard of my advice, complaints were lodged with the ambassador and the Army colonel who headed the U.S. Security Assistance Office. The fact that I was right was of no consequence. It was "suggested" that I cease my security assistance advice to the shaykh and stick to being the Defense Attaché. I thought I was, but it seems I was interfering in potential multi-billion dollar contracts. In any case, the shaykh either took my advice or figured it out for himself and embarked on the creation of one of the best air forces in the Arab world. The backbone of the service are 79 F-16E/F Block 60 fighters (three squadrons) with an additional 25 on order. The pilots are well-trained and routinely exercise with their American counterparts in both the United States and the UAE. The UAEAF is a potent military force capable of delivering a wide range of precision-guided munitions in virtually all conditions, day or night. It is good to see them back in the skies of Syria taking the fight to ISIS. By now, virtually everyone with even a passing interest in the Middle East has at least heard of the brutal immolation of Royal Jordanian Air Force (RJAF) pilot 1st Lieutenant Mu'az al-Kasasbah at the hands of the self-described Islamic State (more commonly called the Islamic State in Iraq and Syria, or ISIS). Al-Kasasbah's F-16 fighter jet crashed in Syria on December 24, 2014 - there are indications that he was murdered as early as January 3 of this year. 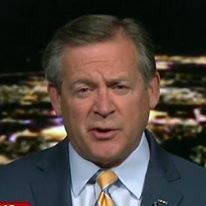 News commentators, political pundits and military analysts (including me) have offered our thoughts on the murder - why did they do it, what did it accomplish, was it a smart propaganda tool for ISIS, will it increase ISIS recruitment, did it violate the tenets of Islam, etc. Here are a few initial thoughts and conclusions. Let's address the gruesome murder of Lt al-Kasasbah. I watched the video (I believe it is part of my professional obligation) and cannot remember feeling this much revulsion at the death of another human, a fellow airman and officer - and I survived an improvised explosive device (IED) attack which resulted in a scene of sickening carnage. By way of disclosure, I served as an adviser to the Jordan Armed Forces - my colleagues included several RJAF officers - I feel a sense of kinship with my Jordanian brothers in arms. I make a living analyzing events and either writing about them or talking about them on the air, but it is hard to find the words to describe the feelings this video generated. The video - obviously almost professionally produced - placed Lt al-Kasasbah in scenes designed to replicate areas subjected to coalition airstrikes. In fact, the man who lit the accelerant which ignited the fire that killed the pilot was identified in the Arabic caption of the video as the leader of a unit who had been bombed by coalition aircraft. The fact that ISIS chose to make this point is telling. 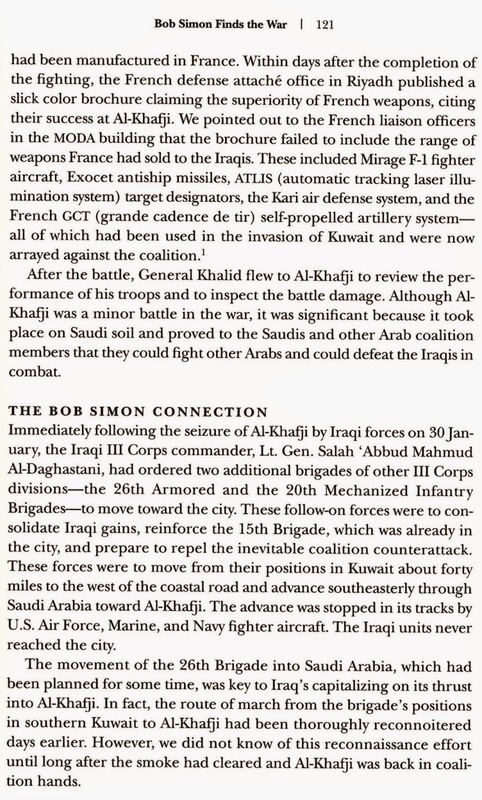 There are many analysts in the media, academia and what I will call "militaria" (we retired officers who analyze wars and combat operations) have been critical of the U.S.-led air operation against ISIS which began in August 2014. Granted, it is hard to accurately assess the effects of the air campaign against ISIS, but overall the evaluation has not been favorable. Based on U.S. Air Force standards, the campaign is, to be kind, anemic - the sortie counts are mere fractions of the amount we analysts believe is required to deal a decisive blow to ISIS. Although in Iraq the airstrikes may have blunted ISIS's momentum as it advanced down the Tigris River valley towards Baghdad and stopped the group's moves towards the Kurdish area, the terrorist organization still manages to hold territory and launch new attacks - the oil-rich city of Kirkuk is now in their sights. 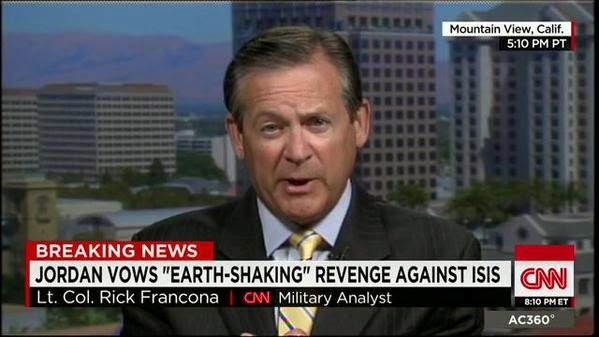 That said, American and allied fighter and bomber aircraft have dealt a blow to ISIS. I would be remiss if I did not distinguish between coalition air operations over Iraq and those over Syria. While there are many nations who have committed aircraft to military operations over Iraq, very few have agreed to allow their pilots to operate over Syria. Only the United States and a handful of Arab countries - Jordan, Saudi Arabia, the United Arab Emirates and Qatar - agreed to attack targets in Syria. This arrangement may stem from the Iraqi government's unwillingness to have aircraft of countries who are supporting the removal of the Syrian regime of Bashar al-Asad, a government supported by the Shi'a-dominated government of Iraqi Prime Minister Haydar al-'Abadi, operate in its skies. When it comes to the United States, the Iraqis have no choice - they need American airpower. After the capture of Lt al-Kasasbah, the Arab countries suspended operations, leaving only the United States to conduct airstrikes in Syria, including a large number of sorties aimed at stopping ISIS from overrunning the Syrian-Kurdish town of Kobani on the Turkish border. At least that part of the operation has met with some success - ISIS has been forced to withdraw after suffering heavy losses to American airpower. One of the objections voiced by the Arab members of the coalition, particularly the United Arab Emirates (UAE), was the long distance of combat search and rescue (CSAR) forces from the target areas. Some analysts believe that had there been CSAR assets staged closer to Syria, there may have been a chance to rescue Lt al-Kasasbah. In reaction to this criticism, the U.S. has moved its CSAR forces into northern Iraq. At the same time, the UAE has deployed an F-16 squadron to a Jordanian air base to cut the flight time to targets in Syria from hours to minutes. When I think about the brutal method used to murder Lt al-Kasasbah, I believe that ISIS is being battered by the coalition air campaign and is frustrated because there is very little they can do about it. Although it is hard to gauge the effectiveness of the air campaign, it seems to be hurting them. Another factor of frustration is ISIS's realization too late - almost certainly after they killed the pilot in early January - that they missed an opportunity of having an extremely valuable hostage in their custody. They grossly underestimated the power and influence of the al-Kasasbah family and tribe in Jordan, and the lengths to which the Jordanian monarchy was prepared to go to secure his release. While I do not think ISIS cared in the least about convicted suicide bomber Sijadah al-Rishawi or al-Qa'idah in Iraq member Ziyad Karbuli, it clearly missed an opportunity to extract concessions from the Jordanian government, publicly embarrass King 'Abdullah and drive a wedge between those in Jordan who did not believe ISIS posed a threat to the kingdom and those who supported the king's affiliation with the coalition. ISIS miscalculated the regional and international response to the brutal murder of Lt Mu'az al-Kasasbah. It appears that all ISIS has done is galvanized the Jordanian people to support their king in his stepped up participation in airstrikes against ISIS in Syria and brought at least one of the other Arab allies, the UAE, back into the fray. 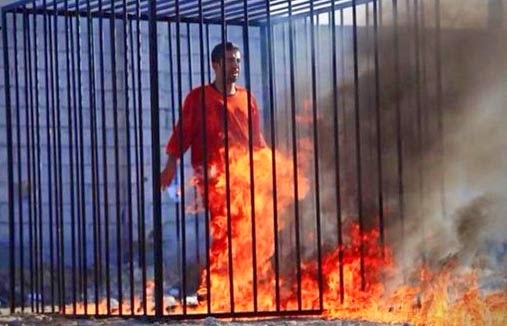 ISIS has responded by burning alive at least three Iraqis in the western Iraqi governorate of al-Anbar. I think they may have miscalculated again. People who were undecided on how to deal with these brutal psychopaths are beginning to realize that there is only one way to deal with them - hunt them down and kill them.